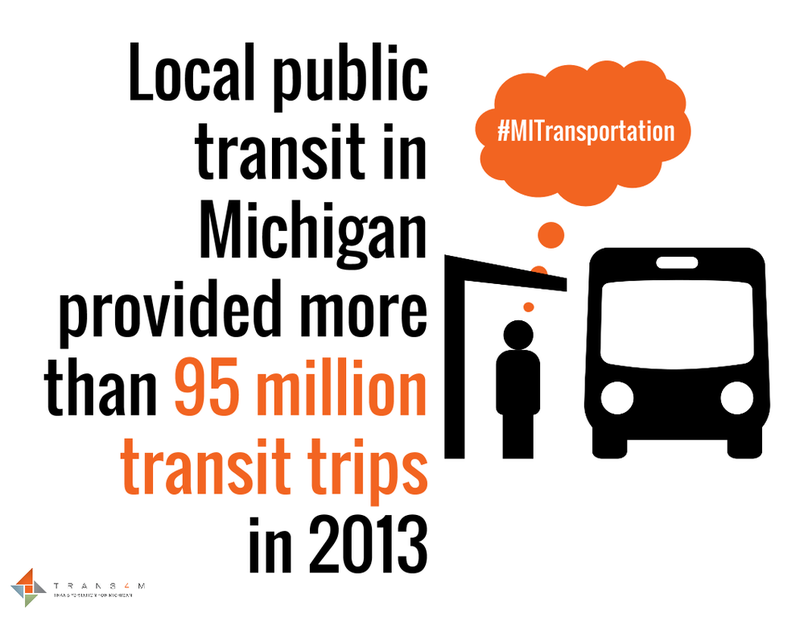 Tell Your State Senator: Fully Fund Michigan's Transportation! Tell Your State Senator: Fully Fund Michigan's Transportation! Tell Your State Senator: Fully Fund Michigan's Transportation! The Michigan Senate will vote on the funding our transportation system WEDNESDAY! On June 10, the House voted to raise road revenue by taking money from economic development, raising fees for green vehicles, and eliminating the Earned Income Tax Credit (EITC). This is not a real solution for our crumbling transportation system! Senate Republicans are proposing an alternative that's not as bad - it does provide some vital new funding for transit and does increase over time. But it also raises fees for green vehicles, eliminates the EITC, and leaves transit out of some new funding. The Senate will vote TOMORROW on their alternative and need to hear from you! 1. ALL funds need to fund our complete transportation system, including buses, ports, and trails. Take Action Today! Then urge your friends to do the same! - Require an income tax roll-back if state revenue growth exceeds inflation. The full Senate is expected to vote on it Wednesday, July 1. Now is the time to educate your senator about the value of finding a real fix for our transportation crisis. Transportation advocates will spend the next month communicating three very important messages to the Senate. 1. Support our complete transportation system. Historically we have funded public transportation, rail, bike and pedestrian infrastructure, and trails by putting money through the full Act 51 formula. The House legislation would bypass all other transportation infrastructure and just send money to roads and bridges. The Senate has the opportunity to change this. 2. Find a sustainable, dedicated funding source that does not pull money from other important Michigan priorities. Michigan’s transportation system is in crisis, but that doesn’t mean that other Michigan programs and services don’t also need their designated funds. Taking money from things, like our economic development programs, will only hurt other aspects of Michigan’s comeback. In order to continue funding transportation adequately, funds need to come from a sustainable source so we don’t face this crisis again. 3. Create enough new revenue to meet the real needs of building and maintaining a 21st century transportation system. We need an estimated $1.2 billion annually just to fix our roads. If we are going to experience the benefits of a robust transportation system, we have to find at least this much, and to do so we must look at creating new revenue instead of relying solely on funding dedicated to other Michigan priorities.